(JillStanek.com) Today, The Center for Medical Progress released its seventh video exposing Planned Parenthood’s baby parts trafficking subindustry, this the third in its documentary series featuring former StemExpress “procurement technician” Holly O’Donnell. 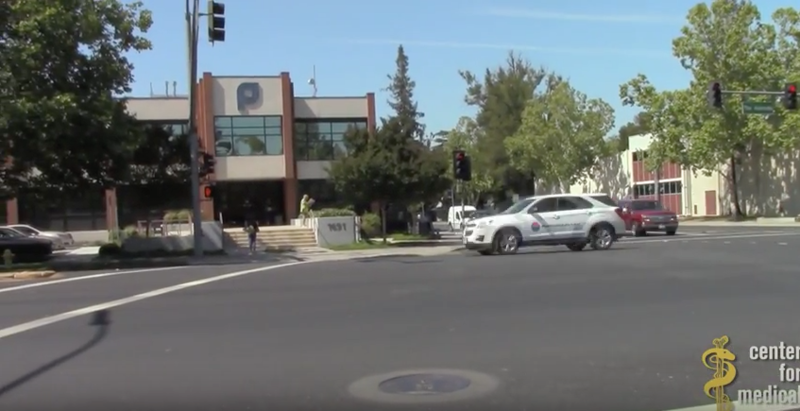 In this video, O’Donnell described a horrific experience while harvesting baby parts at Planned Parenthood’s Alameda late-term mega-clinic in San Jose, California (pictured above). A pie dish is typically 8-9″ wide. So an educated guess would place the baby O’Donnell described anywhere from 19-21 weeks gestation. O’Donnell’s supervisor was able to restart the baby’s heart by stimulating it with an instrument, which the supervisor found “kinda cool, kinda neat.” So the baby was almost certainly aborted alive. An intact brain was on StemExpress’s shopping list that day, so O’Donnell was instructed to cut the baby’s face in half from the bottom up to get to this one, which she dutifully did but decided at that moment she’d gone a step too far and would soon be resigning. Yes, everyone’s doing it, so that makes it ok. It makes it ok for StemExpress and Planned Parenthood to cut the faces of aborted babies – perhaps still live – in half to retrieve a brain. Sorry to be “ghoulish” about it. First, the video shows footage from a conference (beginning at 4:50), which can’t be a National Abortion Federation conference, since NAF is in the process of suing to keep whatever video may have been shot at apparently multiple NAF meetings from being aired. Congressional and state investigations of Planned Parenthood need to delve into other areas as well as fetal tissue trafficking, up to and including post-born murder.